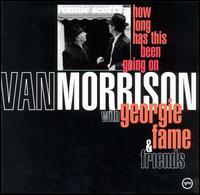 VAN MORRISON: HOW LONG HAS THIS BEEN GOING ON: 1995: 3 1/2 STARS OUT OF 5 STARS: Recorded with Georgie Fame and friends- live without an audience at Ronnie Scott’s Jazz Club in London. Ten of the fourteen songs are covers of jazz standards. The album hit #1 on the Jazz album chart. A pretty good album but not on my list of essential Van albums by any means. KRAFTWERK: AUTOBAHN: 1974: 4 STARS OUT OF 5 STARS: Kraftwerk’s 4th album- Worth listening to for the title track which takes up one entire side of the album at 22:43. I could listen to this song endlessly. Electronic pop. The album is on the 1001 albums to hear list. 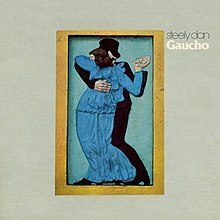 STEELY DAN: GAUCHO: 1980: 3 STARS OUT OF 5 STARS: Steely Dan’s 7th album would prove to be their last album for 20 years -they wouldn’t return until 2000 and Two Against Nature. Hey Nineteen and Time Out Of Mind were hit singles. In a Rolling Stone review Dave Marsh save it one star out of 50 writing “the kind of music that passes for jazz in Holiday Inn lounges, with the kind of lyrics that pass for poetry in freshman English classes.” The album had reviews that landed all over the place. I would call it their weakest album.